Integration is the inverse of differentiation. Even though derivatives are fairly straight forward, integrals are not. 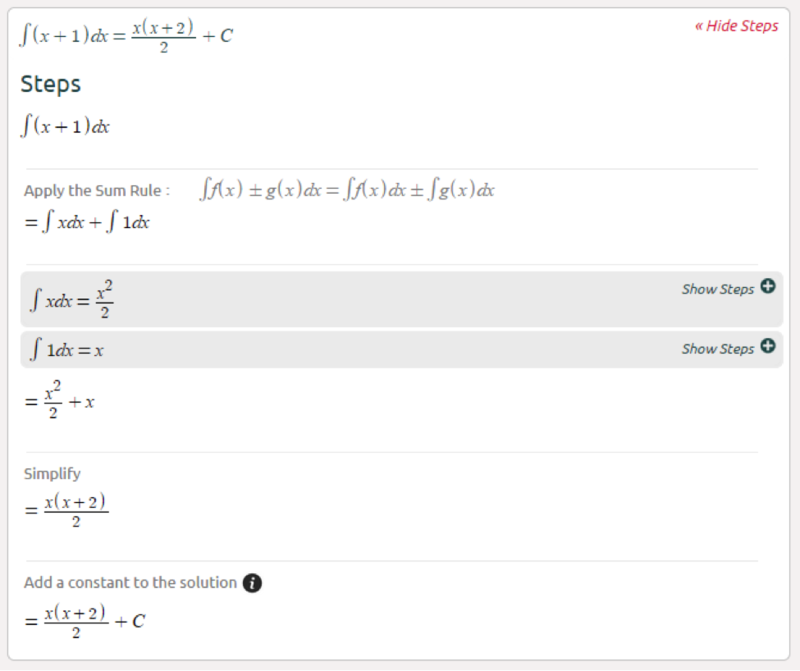 Some integration problems require techniques such as substitution, integration by parts, trigonometric substitutions, or possibly more than one method. 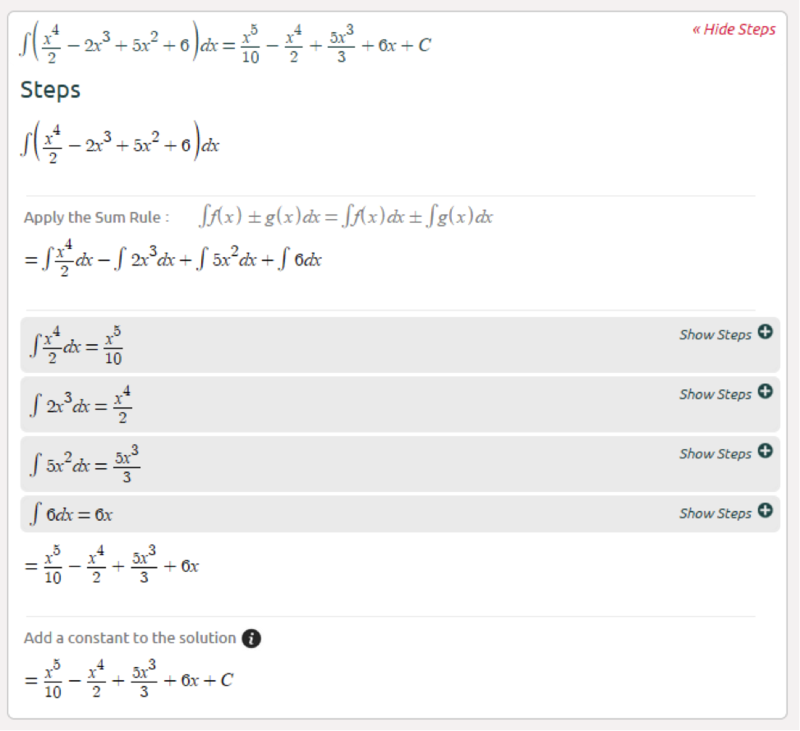 We will walk you through slowly, starting with the basic integration rules: the constant multiplication rule, the power rule, and the sum rule. One more thing to remember, always add the constant of integration C.
Hello! 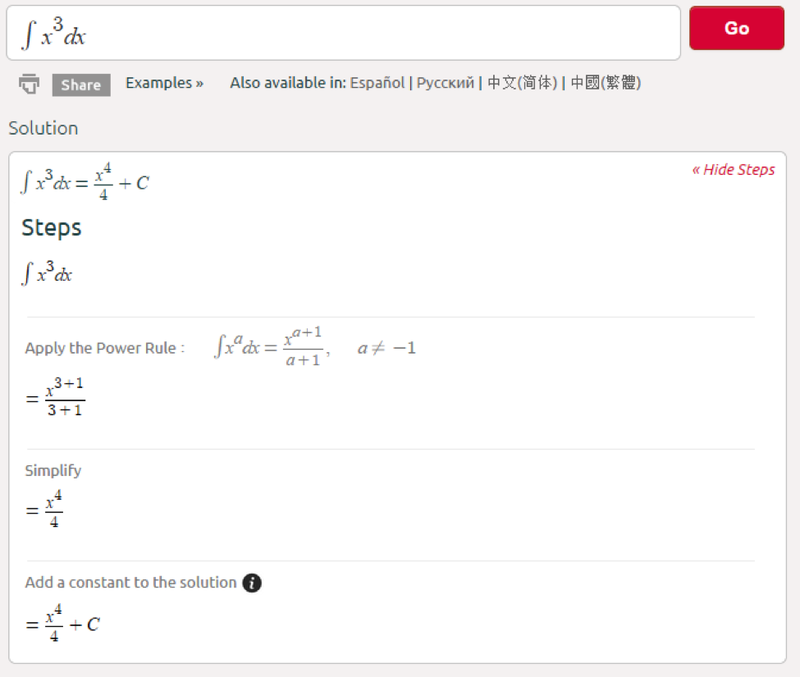 Is there supposed to be a link at the end with more advanced integrals? 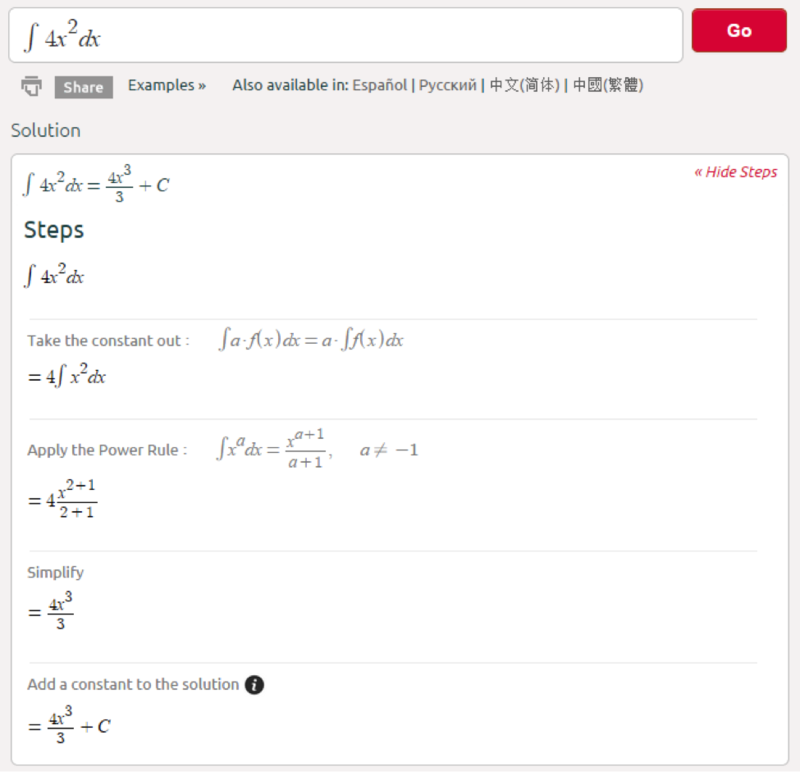 Thank you very much..I got a lot of help from symbolab..
Before writing a synthesis essay, lets define synthesis essay for better understanding of a task. Integral Calculator registers an inconclusive basic (hostile to subordinate) of a capacity concerning a given variable utilizing expository joining.do my assignment for me It likewise permits to draw diagrams of the capacity and it’s fundamental. One of the hardest mathematics solutions. This nice blog. Thanks for sharing. Assignmentfirm service providing all college students my assignment help and dissertation writing service.Thank you. Hi! For students who don't know how to write a lab report, I can recommend one great lab report writing service which can help you with it. Thank you for posting such a great blog! I found your website perfect for my needs. It was a nice blog and I was really excited by reading this article.